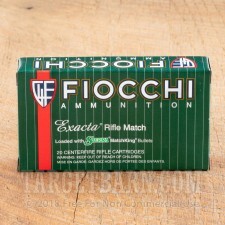 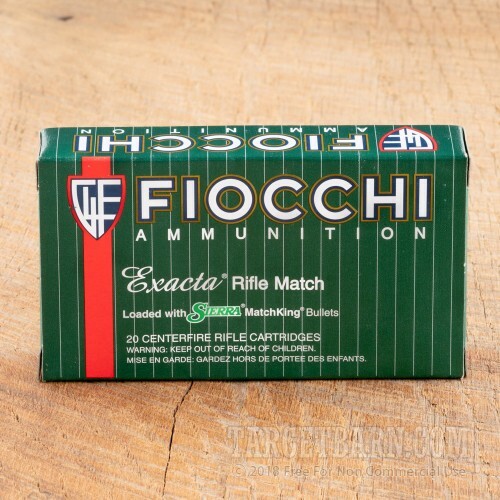 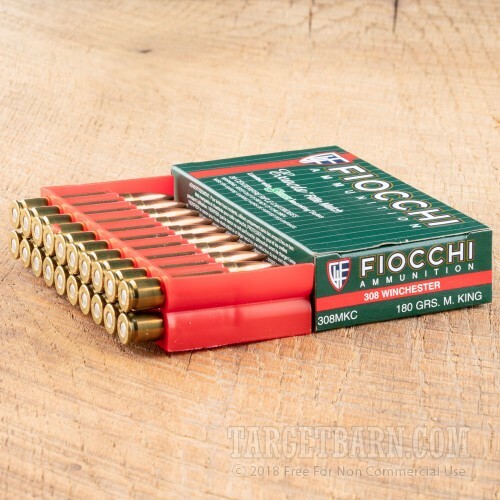 Precision .308 shooting requires a steady hand, a good rifle, and quality ammunition like these cartridges from Fiocchi's Exacta series. 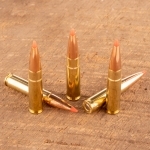 This match-grade ammo features the Sierra MatchKing bullet, a streamlined, boat-tailed projectile famous for its accuracy. 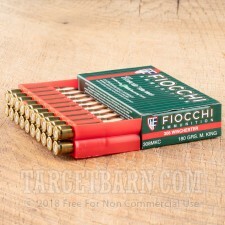 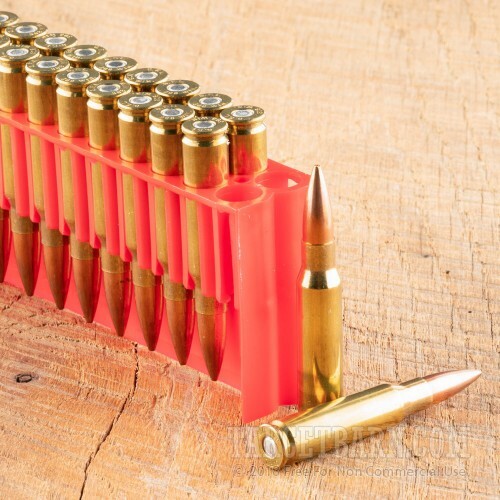 Each cartridge in this 20-round box fires a heavy 180 grain version of the MatchKing at a muzzle velocity of 2,600 feet per second. 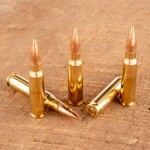 The weight of the bullet provides good stability and reduces the effect of crosswinds on the point of impact. 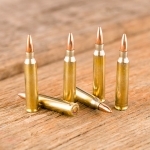 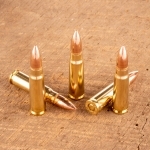 This ammo is loaded in Ozark, Missouri using non-corrosive primers and brass cases; Sierra bullets are made in nearby Sedalia, Missouri.